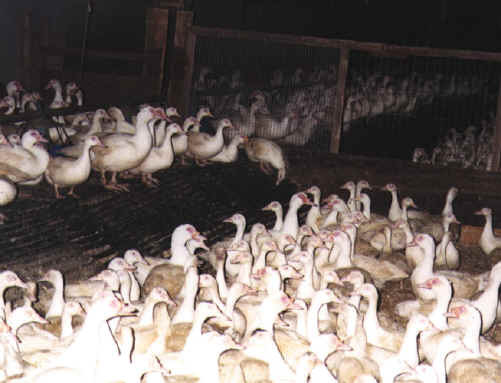 (Ducks and Geese Exploitation - Factory Farm - 02) his photo was also taken at Grimaud Farms, Linden, CA, where thousands of Muscovy ducks are packed into each unit. This is a concentration camp! And every duck we humans eat contributes to this ongoing suffering.